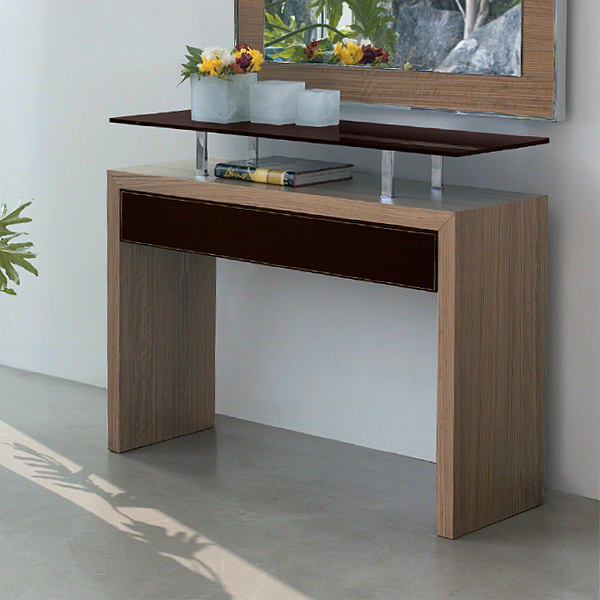 A stylish modern console table with a wooden frame, raised glass shelf and integrated front drawer. 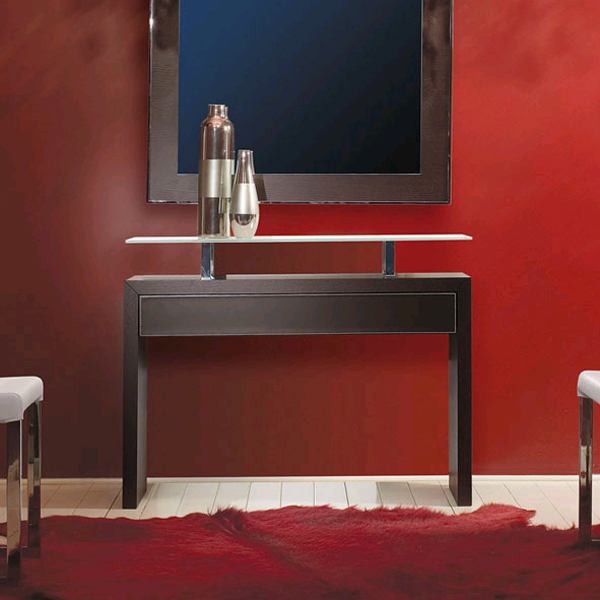 The frame is available in wooden or lacquered finishes, the drawers is covered in hide leather or lacquered to match the frame. 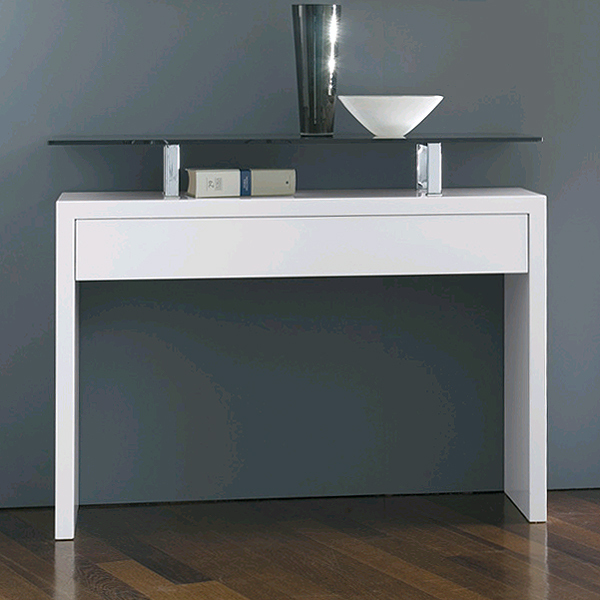 Glass shelf in extra clear, smoked or shining painted glass. See sample cards below for all color options.